Where are Piwek Rock Formations? 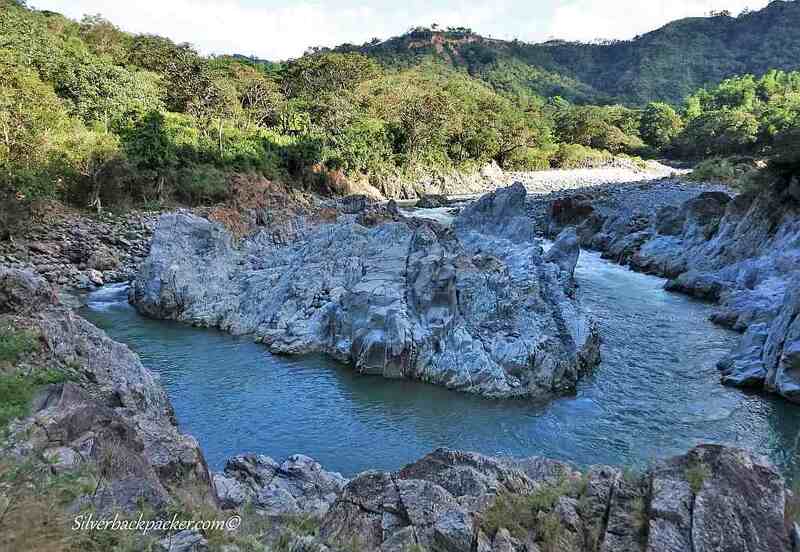 Piwek Rock Formations can be found on the Binongan River in Brgy Alaoa, Tineg, just 30 minutes further down the road from Apao Rolling Hills. The road going here is still under construction and will be difficult for anything other than motorbikes, 4x4’s and high wheeled vehicles. 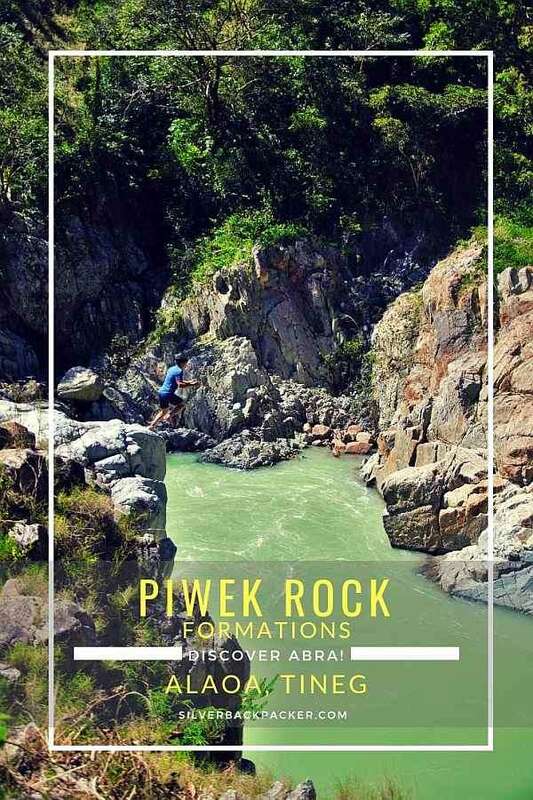 Brgy Alaoa, which has a population of around 900 people belonging to the Adasen Tribe, is the jump off point for the trek to Piwek Rock Formations. 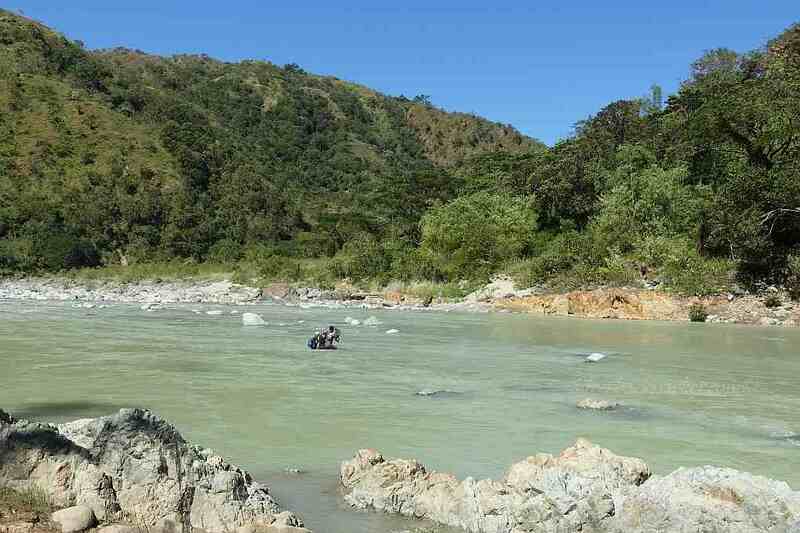 The glistening and sparking white limestone rock formations of the Binongan River are what attract many tourists to this remote part of Abra. 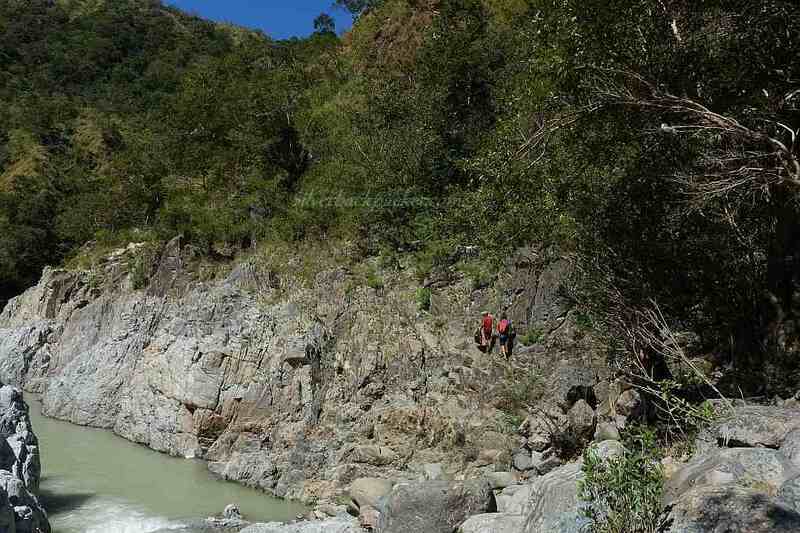 Activities include hiking, rock climbing, cliff jumping, bamboo rafting, swimming, and photography. The travel show Biyahe Ni Drew was recently filming in Piwek Rock Formations for an upcoming TV programme hosted by Drew Arellano, who experienced an 11 metre cliff jump there after his Apao Rolling Hills mountain bike adventure. A visit to Apao Rolling Hills and Piwek Rock Formations can be combined into one Abramazing Adventure. Leaving the Barangay the first step is to cross the Binongan River either by using a bamboo raft or wading across waist deep water. Ask the guide the best route to take if you decide to wade across. Once across the river, the trail passes through rice and vegetable fields for about ten minutes until you arrive within sight of the Rock Formations. Now you will need to utilise some of your bouldering and rock climbing skills for about 30 minutes as the trail leads along the bank of the river to the cliff jumping area. Before you trek along the trail to the cliff jumping area, take time to cross over and explore what I call “Piwek Island” . 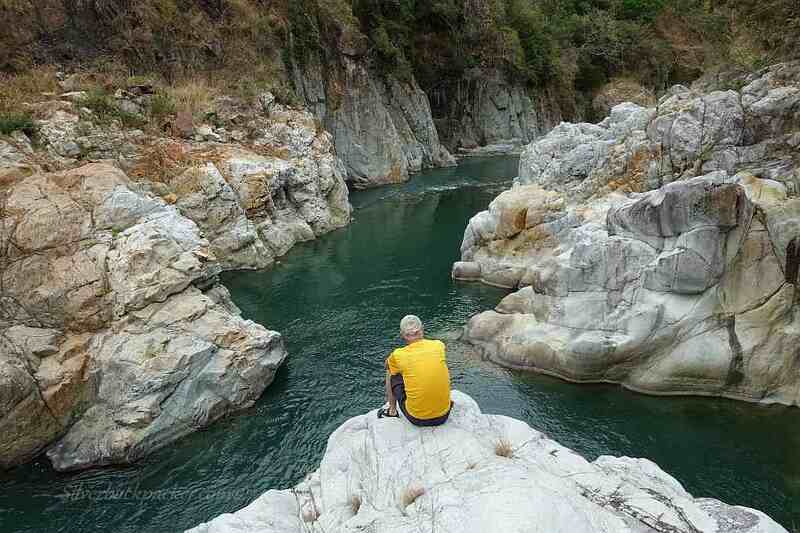 The Binongan River has cut its way through the limestone rock over the centuries and created a small glistening white limestone island with mini peaks, which and valleys, ideal for simple rock climbing. There are some good photo opportunities here too. Be sure to wear a yellow or red top for the best contrast. 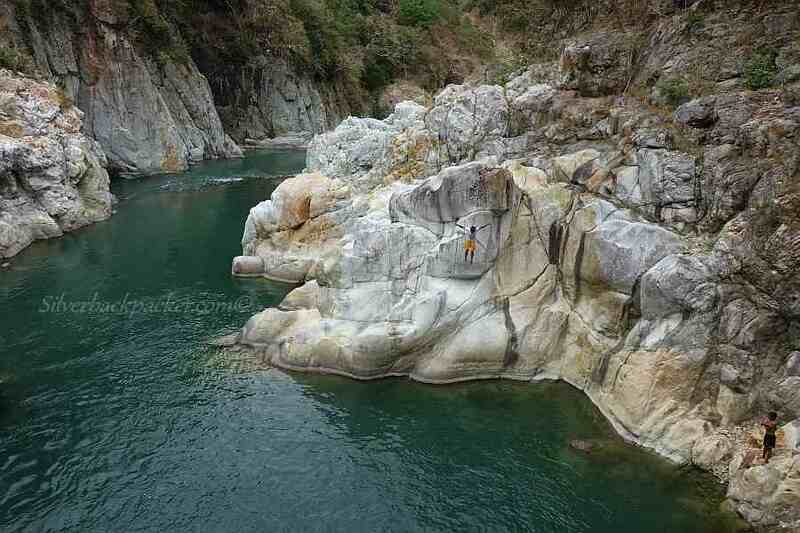 Are you up for the challenge of an 11 metre cliff jump? Arriving at the cliff jump area, again there are many excellent photo opportunities, but the one you will be wanting the most is jumping off the cliff into the cool, turquoise water eleven metres below. Watch the video of Drew Arellano , Biyahe Ni Drew, jumping to see how he did it. 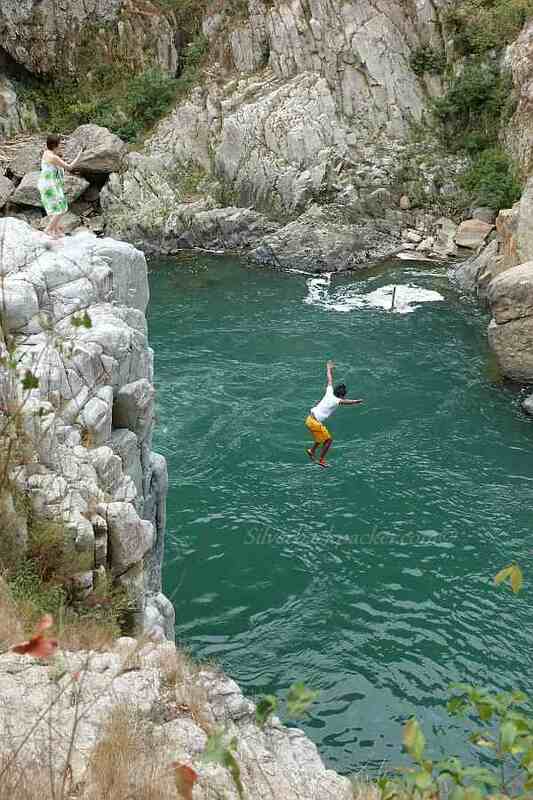 Send your Piwek cliff jump photos to the Abramazing Tours FB Page to be featured. Remember – Since this trip involves alot of water you will be needing a good Dry Bag to keep your valuables safe. Only carry the essential gear that you need. Leave what is not needed in your vehicle in Brgy Alaoa. Lifejackets are available from the Brgy. Just request from your Guide. Once you arrive in Bangued, take a tricycle to the jeepney terminal in the petrol station near the DPWH Compound. Jeepneys leave for Tineg once a day at 08.00. The trip takes around 3 hours to Vira where you alight. Leave Bangued on the road to Tayum. Drive through Tayum and across the Don Mariano Bridge. Keep going until you come to a large Blue waiting shed in the middle of the junction. Follow the road to the left and continue until you reach Dolores. Drive through San Juan until you come to the turning for Tineg. This road is not concreted all the way and can get rough at times. Continue until you reach the new LGU building in Vira where you need to register. For More Information on Apao and Piwek. 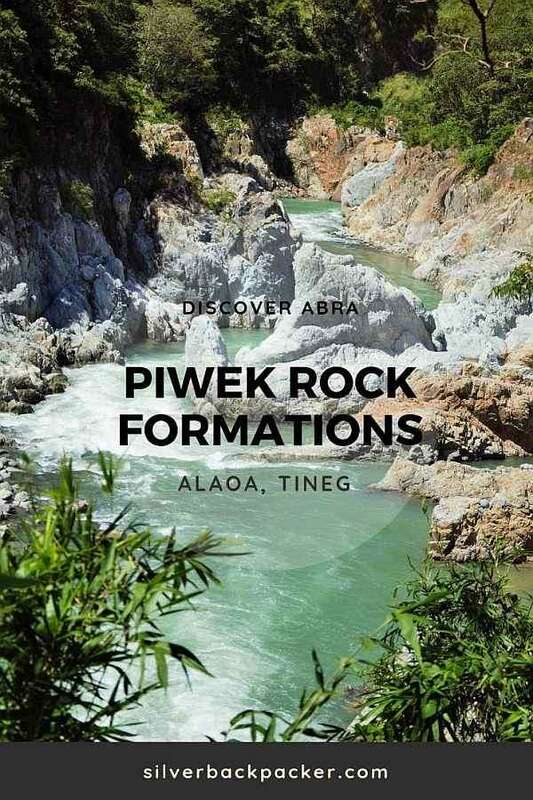 Did you like “Piwek Rock Formations, Alaoa, Tineg, Abra” ? If so then please share this page with your friends.